Bandai Namco has announced that the Universal Century Gundam Online MMOG will be brought to a close at 10:00 am Japan Time on December 15. The game is available only in Japan, although it can be played from other countries. Plans to localize the game into other languages were never finalized, severely restricting the game's potential audience outside Japanese borders. First launched in September 2005, Universal Century Gundam Online is set in the "Mobile Suit Gundam" environment, allowing players to take on the role of Mobile Armor Suit pilots for either the Principality of Zeon or the Earth Federation Forces. 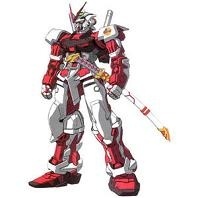 The Gundam universe itself comes from one a long-running series of mecha-based anime that cuts across several series and media. More details about the game area available at the UCGO English Community Official FAQ.